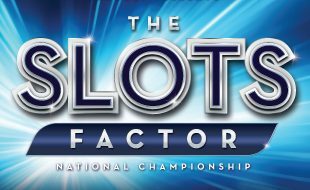 Silverstar Casino, the West Rand’s number one entertainment destination, is proud to once again be part of the annual “Slots Factor Tournament”. This thrilling event which enjoys the participation of all 14 Tsogo Sun properties is open to the general public. The tournament which kicked off on Monday, 18th July 2016 will run until Sunday, 11th September 2016, with a guaranteed R1 million in prize money up for grabs for one lucky winner. Buy-in to this open market tournament is a mere R100, enabling participants to compete in the tournament heats taking place on the casino’s main floor. Who knew, with just R100 you could walk away a millionaire. The person with the highest score will automatically qualify for the group finals, pocketing the 1st prize money of R20 000. The second highest score up to position 101 will play in the unit finals. The top nine, plus the highest score from the qualifying heats, will also go through to the group finals, finally ending off with one lucky winner walking away with the grand prize of R1 million. The Group finals will be hosted at Gold Reef City Casino on Friday, 30th September and on Saturday, 1st of October 2016 respectively. Following the finals, Silverstar will be treating the top 10 finalists, along with their partners, to a two night luxury stay inclusive of food and transport. Visit www.silverstarcasino.co.za or the Customer Service Desk at Silverstar Casino for more information.